Endurance.Net: World News: Australia: 2016 SHAHZADA: The ride of your life! The 36th Shahzada will be held from Monday, 22nd to Friday, 26th August in St Albans, north west of Sydney, NSW. Shahzada is the ultimate test for horse and rider of 400km over five days up and down the beautiful mountains surrounding the picturesque Macdonald Valley, sometimes three times in the one day. For those on younger, less experienced horses, the Mini Marathon of 120km over three days will be held from Tuesday, 23rd to Thursday, 25th August. Both rides are held in St Albans with horses and riders camped all around town venturing out on each leg up and down the legendary tracks of the Woomera, Transmission, McKechnie's, Boyd's, Prestons and The Steps with a promise of perfect Shahzada weather, lots of fun with heaps of social events and activities to keep everyone smiling throughout the week. 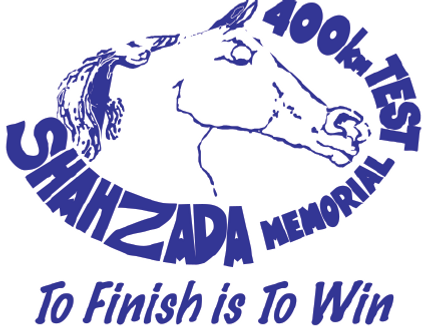 We hope that all those who completed the Mini Marathon in 2015 will move up to the Shahzada and have a go and for all those seeking to complete The Big Three (State Championships, Shahzada and the Quilty on the same horse in the one year) this is definitely the time.....lots of help from our expert and friendly vetting team not to mention all those around you - everyone wants you to be successful. Check out the Shahzada website www.shahzada400.com and see what happened in 2015. For all information contact Shahzada secretary, Sue Todd at suetodd@activ8.net.au or phone 0263 797218 and leave a message. There is nothing like the bond that you achieve with your horse marathon riding.....if you don’t do anything else in endurance, you have to ride Shahzada!! This will be "the ride of your life"!!!! !